Grow. Cook. Sew. : Heartbreak and loss. On Friday 28th January I went into labour 18 weeks early. On Saturday morning we were told that our little baby girl would be delivered in the next 48 hours and at only 22 weeks gestation, she would either die during the birth or shortly after. Nothing could be done to save her. On Monday morning our beautiful baby girl 'Grace' died during childbirth. She was only slightly bigger than my hand, but perfect in every way. There are no words to describe the devastating heartbreak and loss that Tom and I are feeling right now. My heart goes out to you, Tom and Sophie; how desperately sad. I am so very sorry for the loss of your wee girl, Grace. Love x.
Oh Katie I am so devastated for you. I can't imagine what you are feeling but send my prayers and love. You're a strong woman and you will get through it. BIG HUG. awwh only been reading & following your blog for alittle while & my heart is broken for you. I am so sorry for your loss, my prayers go out to you and your family, and may you find the incredible strength in these hurting times. OMG really sorry to hear this! My very best wishes in you & family getting through this time. I am so very sorry to hear your heartbreaking news. May you find the strength to make it through this dark time. My thoughts and tears are with you. Sending you much love lovely girl. As someone else who has also lost a daughter at birth, my heart really goes out to you. I am so very sorry for the loss of your precious grace. You are in my thoughts. Katie that space that you're in right now, that surreal sense of shock. That sense of "how could this happen to US". That sense of screaming inside your head while all around life stubbornly carries on as normal. That disbelief that already it has been more than a week since she's been gone. That intense sick loneliness. Please know that you are not alone. Please know that unbelievable as it may seem, it will get easier - perhaps now that's not even what you want - it wasn't for me. But you will be able to breathe again, to even laugh again. You won't always feel as empty, as lost, as exhausted as you do now. Please also know that Grace matters to all of us. She is a person. She was here. She counts. She is in heaven. Please know that so many of us are crying with you. If there is anything, please let me know. I am new to your blog but wanted to stop by and say how very sorry I am about the loss of your beautiful daughter Grace. I sadly know that there are no words but you are in my thoughts and prayers. It is a beautiful name and the middle name of our daughter we too lost (Ava Grace Valerie). I hope you can find some gentleness in the weeks and months ahead. I am so sorry to hear about the loss of your beautiful baby Grace. My daughter Eliza was stillborn at 34 weeks back in December and while it is still impossibly hard, I know those early black days are unbearable. I'm so very sorry. I am so very sorry for the loss of your little Grace. Keeping you in my thoughts. I am so very sorry that you've lost your precious baby daughter. I can't imagine your pain and heartbreak. So, so sorry for your tragic loss. I lost a son at 21 weeks and another at 18, and one of the hardest things is trying to explain that to older siblings. This is something no child should have to try to understand. How very sad for your little girl to lose her baby sister! I am so incredibly sorry for your loss. My thoughts are with you and your family. I'm so so sorry for your loss. There are no words. You, Grace, and your family are in my prayers. Here from LFCA. My daughter was stillborn at 26 weeks, almost 13 years ago, & it still hurts, although the pain is not as raw & ever-present as it once was. I am so sorry for your loss. May you and your DH heal in time. I am so sorry. You are in my prayers. im so so sorry for the loss of your beautiful girl. we gave one of our twins the middle name grace. we lost our girls at 20w. im at work and i wish i could see your angel baby, but the picture won't show. i will look later, as im sure she is gorgous. hugs to you and know that you are not alone, there are so many here who know, and will walk with you. Here from LFCA. I am so very, very sorry for your loss. Holding you and your precious daughter in my thoughts. Here from LFCA. So very sorry for your loss. You and your family will be in my thoughts. Here from LFCA. So sorry that this happened. You, your husband and baby girl are in my thoughts and prayers. I am so sorry for your loss. It is so heart breaking. Here from LFCA. I am so very sorry for your loss. What a beautiful name for a beautiful daughter. Also here from LFCA. I'm so sorry for your loss. I've been in your shoes and know exactly what you're feeling. Sending you lots of love, hugs and especially peace in the following days. Please know that all of us are always here for you and you are not alone. There are no words. I'm so, so terribly sorry that Grace couldn't stay with you. Be kind to yourself, and allow yourself to grieve on your own terms, nobody else's. I'm so sorry to hear about your loss (LFCA). You and your family are in my thoughts and prayers as you deal with this utterly devastating tragedy. Bless you angel Grace. Dear Katie, here from Maddie's blog. I lost my baby girl too recently. I know what horror an awfulness and void washes over us when the child is gone. Can only say that I am sorry and I wish your Grace was still in there and safe and happily so. Hello Katie, I am so so sorry Grace was born too early. 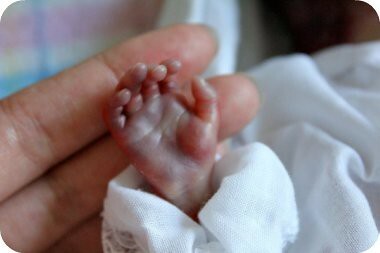 I know the horrors of losing your baby (although mine was born at 30wks and lived for 4 weeks after), my heart goes out to you and your family during this very sad time. I'm so deeply sorry for your loss of your beautiful little Grace. I am holding you in my heart and wishing you peace and healing in your own time. Just another babylost mother, sending love to you and thinking of your Grace. You know I know and have made many a real life comment but just wanted to comment *here* to say that though the days are going by, and I know you are all going to heal in time, I will never forget either. Love all of you always. I just found your blog and my heart breaks for you. Please know that I will keep you and your family in my prayers. Dear Katie: I stumbled upon your blog and am reading your devastating news. I am terribly sorry for your loss. You must miss your sweet girl so very much. My husband and I know the pain that you are going through, as we lost our baby boy at 35 weeks on February 3rd. Much love and strength to you as you navigate these bleak days. Dear Katie, I'm here via Maddie's blog. I am so very very sorry that your beautiful Grace isn't still safe inside. Such a perfect little hand, a perfect little Grace... I'm so so sorry for your loss. It's a very difficult road to travel - I'm also here via Maddies blog.